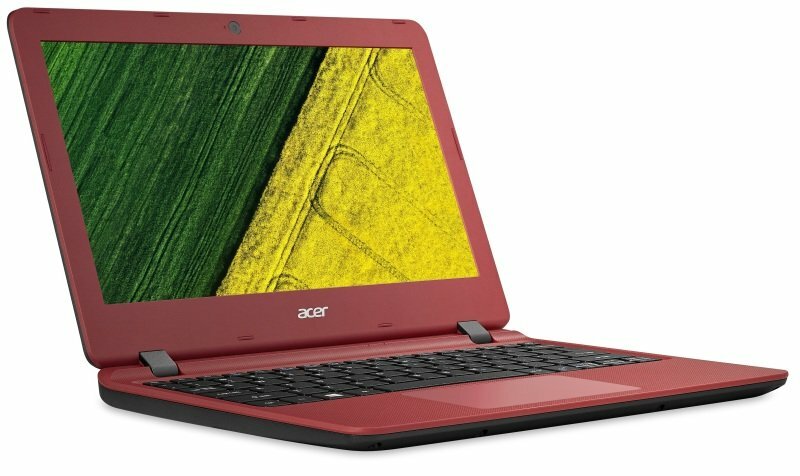 Acer Aspire ES 11 (ES1-132) Laptop - RedSorry, this product is currently out of stock. Pop open the top covers and the flamboyant side of the notebooks will be revealed in a blast of color of your choosing*. The inside surfaces also textured patterns to offer a cohesive look and feel inside and out. With BluelightShield™ software, irrating blue light is filtered out from the screen to reduce eye soreness during prolonged screen viewings. Acer Chiclet keyboard offers greater travel distance and well-spaced keys for a more satisfying typing experience with better tacticle feedback. Plus the keyboard is quiet and has the power button integrated into it for easier accessibility. Get the optional DVD-RW drive for enjoying movies and archiving multimedia on DVD. A clever fan-less design** does away with annoying whirls and whizzes so you can do what you love without the distraction of a noisy fan. Get connected to the web at super high speed via the Acer ES Series Gigabit LAN port. Transfer data up to ten times faster than devices with 10/100 Ethernet ports and have more time for the important things in life. Build Your Own Cloud that lives on all your devices, yet with ultimate privacy and security. This means, that the storage capacity of your cloud can be as big as you want and your PC becomes your multimedia center. With BYOC your digital life is synced wirelessly and simultaneously across your entire eco-system of devices regardless of the network connection, operating system or brand of device.